Photo: Cronese Basin with Cave Mountain. Eastern Mojave Vegetation Cronese Basin with Cave Mountain. The Cronese Basin with Cave Mountain on the south (left) side. The Basin Road overpass over U. S. Interstate 15 can be seen at the extreme left. 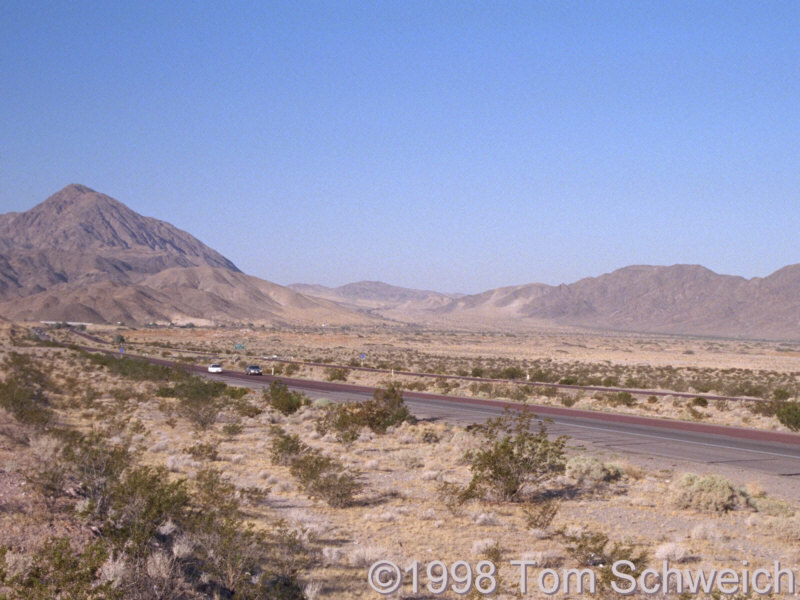 U. S. Interstate 15: Cronese Basin. Other photos about Geography - Central Mojave or Cronese Basin.